Superdry women's Flower Power crochet jumper. This jumper features long sleeves, a crew neck line and ribbed collar, cuffs and hem. 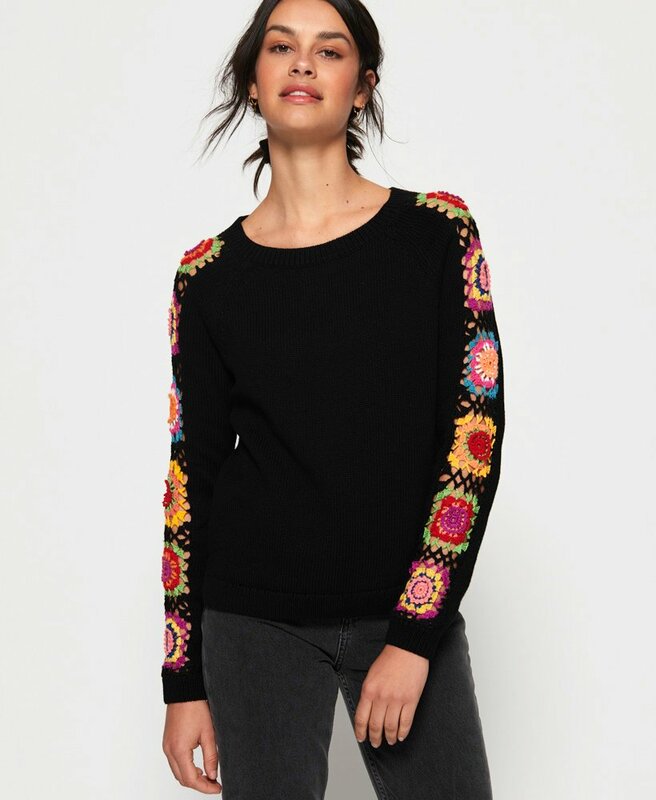 This jumper also features a colourful crochet floral design down the sleeves and small side splits on the side seams for a flattering silhouette. Completed with a Superdry logo tab on the hem.